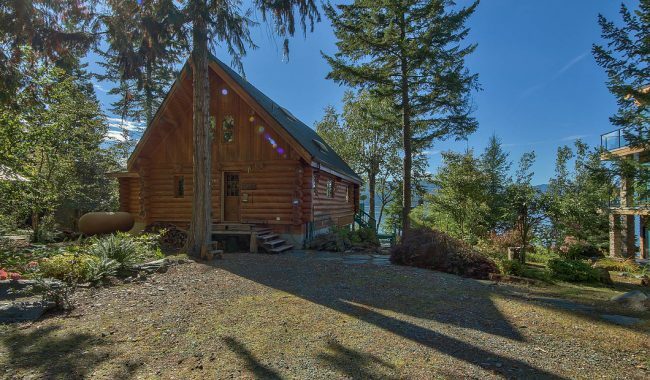 Would you spend the summer in a log cabin? Summer holidays are especially important in places where winters are long and cold. Canada, Great Britain and parts of the United States, for instance suffer cold temperatures, short days, grey skies, snow and rain for months of the year. No wonder we’re ready to get outside when summer comes! Outdoor living and some sunshine does than keep the kids occupied over summer holidays: it’s vital for your own mental and physical health. There’s nothing better than getting into the country where you can spend long days in the fresh air enjoying the best of nature. While camping is always popular, recent numbers show that there are far more campers, trailers, motorhomes and various RVs in scenic areas like Western Canada than there are campsites to accommodate them! Long weekends are especially busy. If you’re lucky enough to get a campsite, it might look more like a crowded parking lot with little space left for authentic outdoor adventure. You don’t have a log cabin yet? No problem! With a little planning, you can relax in a log cabin rental while you dream about a log home of your own. If you’ve been thinking about building a log house, look at this as research. Staying in a log cabin lets you take a close look at the quality of logs and craftsmanship—extremely important when it comes time to choose a log building company. Not all log construction is comparable, and you’ll want to learn as much as possible before you choose a log home builder. Log home vacation rentals vary from simple to luxurious with all the rustic character you love and any features you require. Crafted in every size and shape, some were built specifically as guest cabins for tourists while others were custom built homes now rented by their owners. 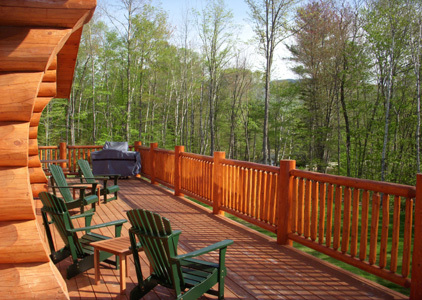 Explore the options available and get ideas for your own log home. 1. You’ll love the authentic back-to-nature excitement of a log home. Whether it’s a log cabin in the woods, a log cabin lake cottage, or even a log cabin guest ranch, the setting of a log cabin is usually more rural which encourages you and your family to spend quality time outdoors. 3. Log cabins offer more protection from the elements than tents, RVs (or even “traditional” homes–thanks to the thermal mass of thick log walls.) Whether you end up with a heat wave or rainy weather on your summer vacation you’ll be comfortable in a log cabin. 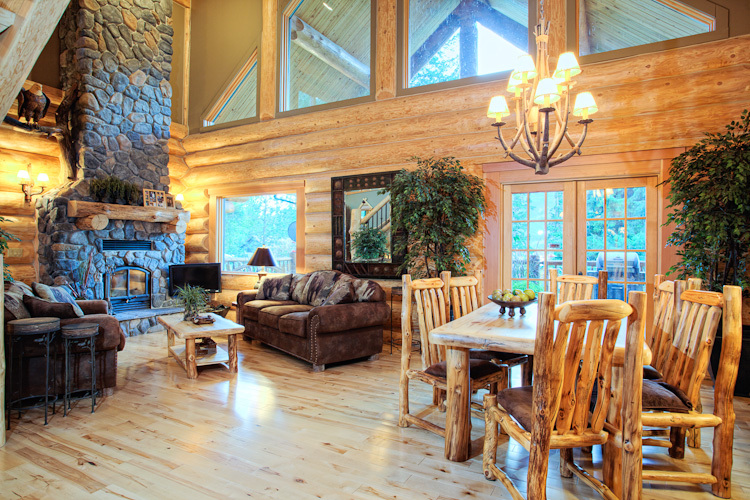 For winter vacation homes, log cabins are naturally number one! Added bonus: those log walls seem extra-reassuring during a thunderstorm or visits from resident wildlife! 4. The instant “back-in-time” feel delivered by log homes can help encourage your kids (and you, of course) to unplug and spend some time connecting in old-fashioned ways. How often do you play horseshoes? Board games? Kick the Can? What about target practice? Water fights? Reach back into your favourite memories for ideas. Ask your parents or grandparents what THEY did for fun during childhood summers. 5. The most vivid memories are the ones made when you experience something out of the ordinary. If home for you is an average city or suburban neighbourhood, experiencing the rugged appeal of a log cabin takes your family away from the habits of everyday life and sets the stage for everyone to bond through new adventures. 6. When the time comes to build a log cabin of your own, you’ll know what to look for and what to avoid. The more log cabins you look at, the more you’ll appreciate quality craftsmanship and timber. After spending days with your family in a log cabin you’ll also be in an excellent position to request design modifications to create a custom log home plan that meets your needs! Fill your days with the beauty of nature and outdoor adventure. End them in the quiet comfort of your log cabin in the woods. Teach your children and grandchildren timeless skills like catching fish or chopping firewood, the names of wild animals and trees. You’ll cherish the memories forever! Your log cabin vacation: a once-in-a-lifetime treat or just the start of your own log cabin lifestyle? Thoughtfully planned and built to last, building a log cabin of your own can be an investment that brings your family together for many generations. With ideas for all tastes and budgets, log home plans are great startingpoints for custom log vacation getaways. 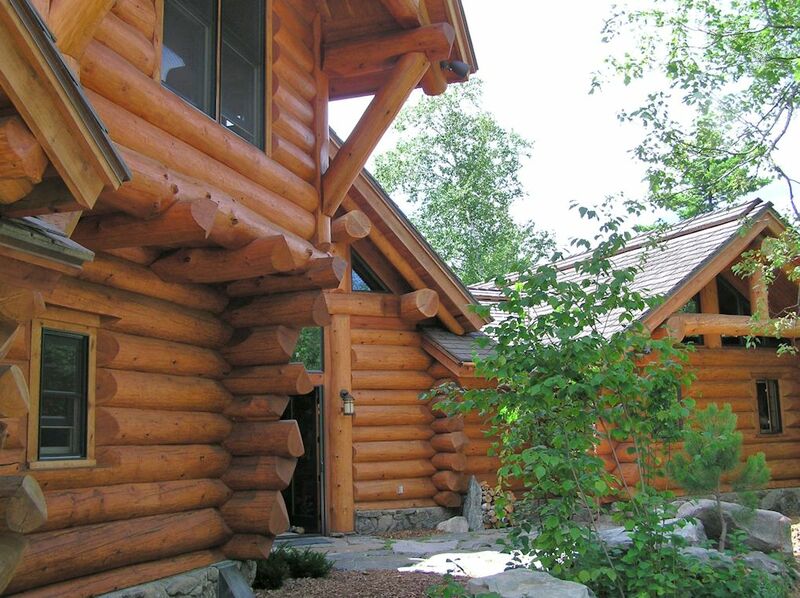 Contact North American Log Crafters today to talk about a log cabin in your future!